Louise A. Varney, age 80, of Greenville, passed away Saturday evening, August 18, 2018 in the emergency room at Spectrum Health-United Hospital in Greenville. The daughter of Frank & Elsie (Koop) Kunz, she was born on June 24, 1938 in Greenville and on July 23, 1960, at Calvary Baptist Church in Greenville, she married Dale A. Varney. Together they enjoyed 58 years of marriage, raised two daughters, and were long time members of Calvary Baptist Church. 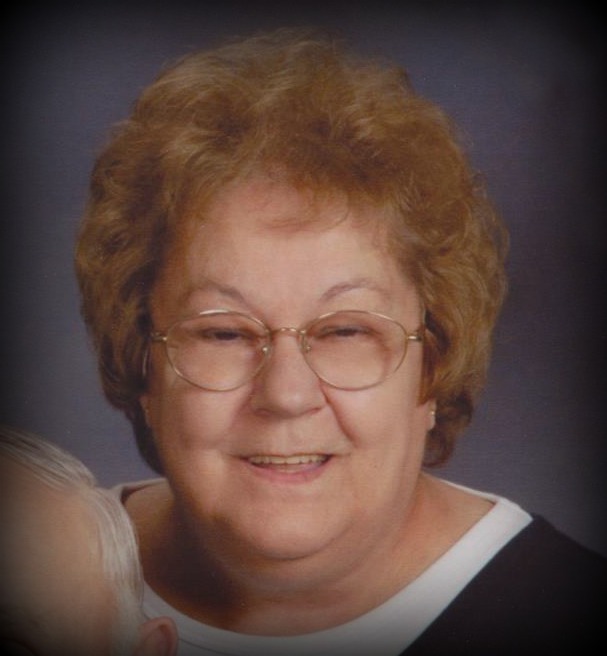 A devoted wife, mother, grandmother, and great grandmother, Louise had also worked outside the home over the years at the old Wolverine World Wide plant, at the former Gibson Refrigerator Company, at the Burger King in Northtown Greenville, and as a school bus driver for Greenville Public Schools. She enjoyed crocheting, knitting, fishing, and car rides to see the sights around town. Surviving are her husband, Dale Varney of Greenville; their daughters, Cheryl Varney of Greenville, and Lori & David Hernandez of Gowen; three grandchildren, Zachary Hernandez & Kendra Gardner, Briana Hernandez & Colin VanDam all of Sparta, and Kelli Hernandez & Cameron Tucker of Gowen; twin great-grandchildren, Eli & Isla; three sisters, Arlene Bauman, Connie & Wally Harris, all of Greenville, and Deb Rich & Wes Meadows of Sidney; two brothers-in-law, Keith & Jackie Varney of Lakeview, and Larry & Shirley Varney of St. Johns; and several nieces and nephews. Visitation is from 6-8 p.m. on Wednesday at Christiansen Cremation & Funeral Care, 511 S. Franklin Street, Greenville, and from 10-11 a.m. on Thursday at Calvary Baptist Church,12501 Montcalm Avenue, Greenville, where funeral services will be held at 11:00 a.m. on Thursday. The Rev. R. Mark Shaw and the Rev. Dan Maguire, Sr. will officiate and committal services will follow at Rest Haven Memory Gardens, Belding. Instead of flowers, Louise would have appreciated contributions in her memory to the Building Fund at Calvary Baptist Church. Envelopes will be available at both the funeral home and the church. The family wishes to thank all of Louise's caregivers, and especially the staffs at Spectrum Health-United Hospital and Montcalm County EMS. To send a message of sympathy to the family, sign Louise's online guest book, or to share a favorite memory, please visit: www.ChristiansenCares.com Arrangements are entrusted to Christiansen Cremation & Funeral Care, Greenville.